The Department of Health encompasses two crucial waivers, inclusive of assisting individuals with Traumatic Brain Injuries (TBI) and Nursing Home Transition Diversion services (NHTD). At FREE, our dedicated staff works toward transitioning individuals out of the nursing home with a cost-effective approach and increased quality of life. In this three-part series, we will discuss the various waiver providers and programs which strive toward assisting individuals within their goal achievement under the TBI and NHTD waiver programs. Upon first entering the Traumatic Brain Injury world at FREE, I was asked to develop a Structured Day Program model to better assist with our individuals’ needs. After numerous attempts to identify what that exact “need” consisted of, my answer came in the form of an unexpected question. One of our individuals approached me and asked; “Can you help me with my resume? Can you help me get a job?” As a CRC, my main purpose is to identify strengths and determine goals, which may assist individuals within their vocational journey. Our individuals’ needs appeared to stem from the development and establishment of fulfilling their own purpose. The more I inquired and researched on why traditional methods didn’t prove to be successful for the TBI population, the more I began to realize that an out-of-the-box solution which emphasizes their strengths may indeed be the answer. This is how the ‘Return to Work Program’ at FREE was created. The Return to Work Program at FREE is a specialized track within the Structured Day Program model. The program’s purpose is to serve individuals with acquired Traumatic Brain Injuries in obtaining and maintaining gainful employment. In addition, we’ve teamed up with various FREE departments and businesses to create exciting volunteer opportunities for those looking to build up their confidence prior to exploring the world of work! A few of our job placement linkages towards internships and work opportunity partnerships are inclusive of; Terry’s Café, Fancy FREE, FREEdom Farm, The Basketball team, Swept Free and clerical tasks to assist with administrative needs. In addition, our participants are volunteering at nursing homes, increasing their computer skills/typing abilities and assisting with Participation rooms at PROS’s. We recently received approval to create our very own TBI garden, located in the back of the Bethpage parking lot! 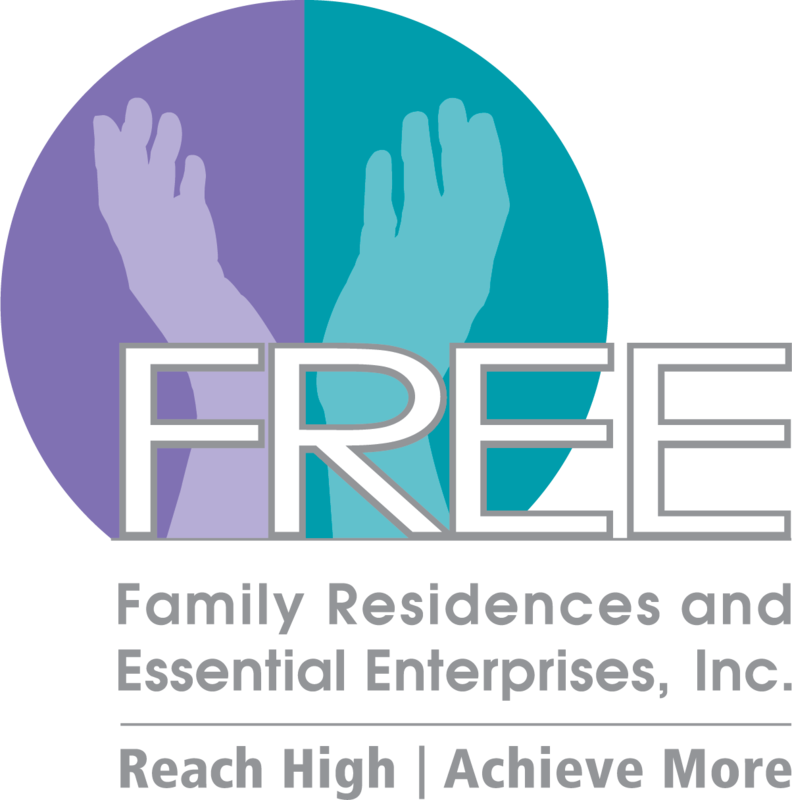 FREE’s rehabilitation staff assist in resume building, individualized job training and work readiness development. FREE’s Return to Work program was developed to observe, evaluate and identify an individual’s strengths and aptitudes, using a person-centered approach appropriate for individuals with TBI. We believe that a hands-on and visual learning experience can provide an opportunity for individuals with TBI that previously never existed. I thank FREE for believing in an idea, which could potentially change the way the world perceives individuals with Traumatic Brain Injuries and their vocational goals. Socrates once said; “The secret of change is to focus all of your energy not on fighting the old but on building the new.” FREE has opened the door for our department to grow and better serve our community. We’re excited to see what’s in store for the future! Tune in next time to further explore our Service Coordination Department and how they organize all services for clients with Traumatic Brain Injuries and our Nursing Home Transition Diversion Waiver participants. Our DOH services provide a cost-effective alternative to nursing home placement.